Description: Mon Cala, also known as Mon Calamari or Dac, was an oceanic planet located in the Mon Calamari system, a binary star system positioned in the Calamari sector of the galaxy's Outer Rim Territories. Although some cities on Mon Cala were built underwater, there also existed cities built on the surface of the ocean. Although the planet was inhabited by two separate sentient species, the peaceful Mon Calamari and the more bellicose Quarren, it was ruled over by a single monarch. Despite their differences, the two peoples had respected each other for the longest time. During the Clone Wars, the eighty-second king of Mon Cala, Yos Kolina, was murdered. While his young son, Prince Lee-Char, was supposed to take the mantle, the Quarren refused to accept him as their leader. A brief civil war was instigated by Separatist commander Riff Tamson, Kolina's murderer, after which Lee-Char was crowned the eighty-third King of Mon Cala. Following the Galactic Empire's subjugation of Mon Cala, the Mon Calamari retaliated by becoming a key species involved in the Alliance to Restore the Republic, supplying warships to the struggling Alliance Fleet. Mon Cala was one of the worlds Emperor Sheev Palpatine intended to target following the completion of the second Death Star, which he planned to use to destroy the rebel stronghold and wipe out the Rebellion through sheer terror. Legends: Dac, as it was called in Mon Calamarian, Quarrenese, and Basic, also known as Mon Calamari and sometimes simply called Calamari or Mon Cala, was a planet in the Calamari system of the Calamari sector, located in the Outer Rim. It was home to a wealth of sentient species: the Mon Calamari, the Quarren, the Moappa, the Amphi-Hydrus, and the Whaladons. Mon Calamari was the name given to the planet by Human explorers from the Galactic Republic who first discovered and revealed the world to the rest of the galaxy. The native species referred to the planet as Dac. 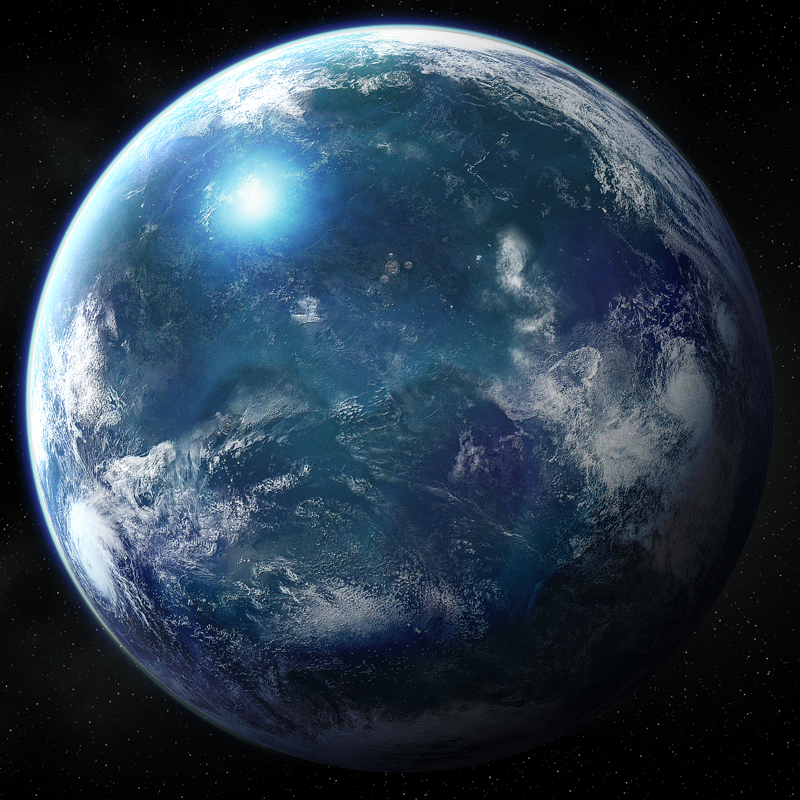 The planet was a shining bluish-white orb from space, due to its ocean-covered surface. It was home to 27.5 billion Mon Calamarians and Quarren, as well as surrounded by the impressive Mon Calamari Shipyards. In 137 ABY, all life on the planet was wiped out in accordance with the Final Protocol ordered by Darth Wyyrlok of the One Sith with the use of Viral spores to punish the Mon Calamari for rendering aid to the remnants of the Galactic Alliance. Nearly 20% of the planet's population was saved during the Evacuation of Dac. An aquatic planet in the Outer Rim Territories, Mon Calamari had a bluish-white color. Some cities on the planet, such as New Coral City, were built on the surface of the ocean. The Mon Calamari and Quarren both lived on the world and were often at odds as a result. The Mon Calamari Shipyards were a very important part of the economy. The Mon Calamari lived comfortably on the surface and below while the Quarren lived in the depths of the oceans. The massive Whaladons meddled little in governmental affairs, swimming in their pods and protected from hunting by law. In 4500 BBY, the Quarren made war on the Mon Calamari, but the Mon Calamari won the war, resulting in the near-extinction of the Quarren. The Mon Calamari raised the next generation of Quarren themselves, teaching them Mon Calamari values. The planet was discovered in 4166 BBY, by that time its inhabitants had already been exploring nearby star systems for several years. C. 529 BBY, a number of needy Mon Calamari and Quarren locals were approached by recruiters sent by Hugo Bartyn. Bartyn wanted amphibian fishermen to settle a new city in Lamaredd and tempted these poverty-stricken individuals with promises of untouched seas in a new frontier. Once they arrived, however, they became slave laborers. The planet was represented in the Galactic Senate by the corrupt Tikkes, who allowed Thalassian slavers to operate in the Calamari sector for a share of their profits. He was exposed in 22 BBY. He escaped Republic custody on Coruscant and fled to Geonosis, where he became a member of the Separatist Council as leader of the Free Dac movement, which sought to cut ties between Mon Calamari and the Republic. During the Clone Wars, the world was attacked twice by the Confederacy of Independent Systems. First, Count Dooku devastated the world with the Dark Reaper. Later, Tikkes's Quarren Isolation League attempted to overthrow the Mon Calamari Council. Tikkes's actions led to a conflict between the two native peoples, but the League was defeated by Kit Fisto and the Mon Calamari Knights. 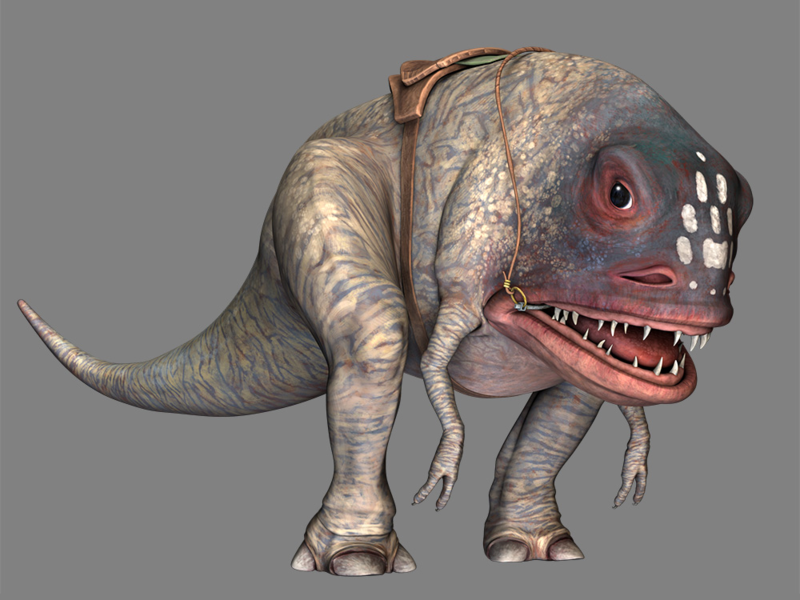 It was discovered by Kit Fisto that the League was allied with the Moappa, whom Kit discovered were also sentient. Kit informed the Mon Calamari that they needed to make peace with and respect the sapience of the Moappa. Many members of the Quarren Isolation League and the Free Dac movement fled Mon Calamari, settling on the CIS worlds of Pammant and Minntooine, where the Free Dac Volunteers Engineering Corps created shipyards. Using designs based on Mon Calamari Shipyards blueprints stolen by the CIS as a basis, these yards created Recusant-class light destroyers at Minntooine and Providence-class carrier/destroyers at the Pammant Docks for the Separatist fleet. There were also Separatist Mon Calamari, led by the heroic Commander Merai, backed by Passel Argente and the Corporate Alliance. Without the approval of Count Dooku, the Mon Calamari led an effective assault during the First Battle of Kamino, using their amphibious fighters and Merai's personal assault ship, the Shark. Ultimately their assault failed, as Dooku betrayed them. Most of the Mon Calamari forces were able to escape the disaster due to the sacrifice of Merai, a true hero to the end. After the Republic loyalty of the planet was cemented, the Loyalist inhabitants agreed to a new arrangement: dual representation in the Senate, with Tundra Dowmeia representing the Quarren and Meena Tills representing the Mon Calamari. Meena Tills was held hostage on Coruscant by Korunnai terrorists, but rescued by Republic Commandos. Both Senators were signatories of the Delegation of 2000's petition, resulting in their arrest upon the Declaration of a New Order. The planet was represented in the Imperial Senate by Timi Rotramel until it was harshly subjugated by the Galactic Empire, which saw the people of Mon Calamari as natural slaves whose industries and resources could be used to power the Imperial war machine in the Outer Rim Territories. The Imperial propaganda machine cited the signing of the Petition of 2000 by the planet's previous disloyal senatorial representatives as an excuse for the repression of the Mon Calamari. The Imperials were aided during the occupation by the sabotage of the planetary shields by Quarren saboteurs such as Seggor Tels, swiftly conquering the planet. During the Imperial occupation of the planet and its system, the Mon Calamari started a resistance movement, which was unsuccessful at first. Eventually, Emperor Palpatine ordered three of the planet's floating cities to be destroyed in reprisal. Regardless, the Imperial attack did not succeed in breaking the Mon Calamari spirit. Instead of extinguishing the resistance, it pushed the world's natives into open rebellion when the Mon Calamari joined the Quarren against the invaders into a grand and secret military effort which finally repelled the Imperials and pushed them off their planet, their system and indeed the entire sector. Shortly after the uprising, while preparing the planet to join efforts with the Rebel Alliance, the Imperial Senator Timi Rotramel himself attempted to bring other species and systems into the Rebellion against the Empire; unfortunately for Rotramel, shortly after failing to convince the Tiss'shar to join a Sector rebellion, he was killed on Tiss'shar by Darth Vader, who discovered his secret rendezvous with Tiss'shar President Si-Di-Ri. The Imperial propaganda did not wait to attempt to discredit the Mon Calamari, as the Imperial sentientologist Obo Rin, working under the direction of Lord Vader, wrote the Catalog of Intelligent Life in the Galaxy. This work included falsified claims that the first contact between the Mon Calamari and galactic civilization occurred during the reign of the Galactic Empire. This was accepted as truth by many citizens of the Empire, further angering the Mon Calamari. After Mon Calamari's revolution against the Empire, the Mon Calamari and the Quarren joined with the Rebel Alliance, proving to be an invaluable asset in the Galactic Civil War. The Mon Calamari, masters of starship construction, supplied the Alliance with badly needed capital ships constructed at the Mon Calamari Shipyards. Prior to joining the Alliance, the Mon Calamari had only built passenger liners and deep space exploration vessels because of their peaceful ethos, but by heavily retrofitting these vessels, they were able to create warships that could take on the Empire's mighty ships of the line. The Mon Calamari disrupted and mined known routes that led to their sector, while searching for new secret routes. 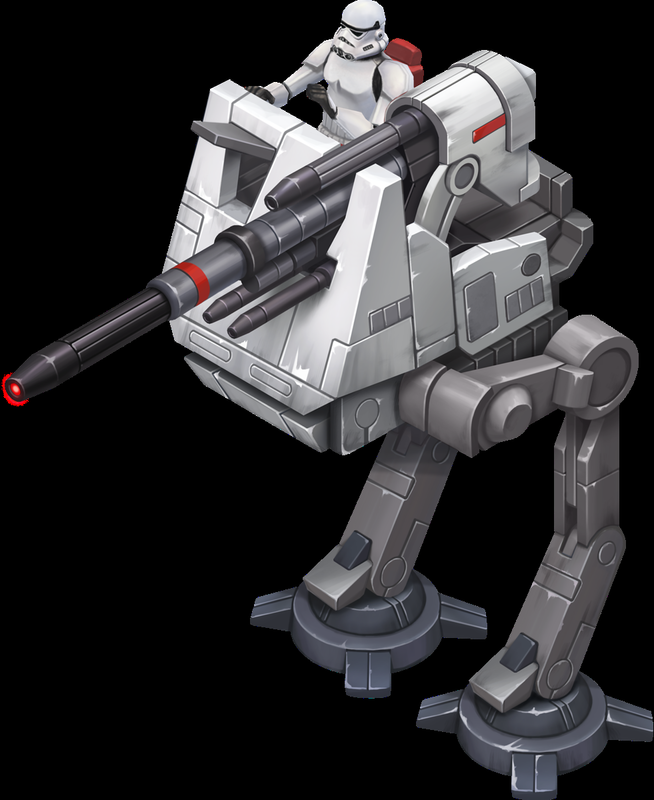 In order to retake Dac the Empire would have to launch a long campaign that might embolden other rebel planets. Therefore the Imperial attack was postponed. During this time of war, the Mon Calamari and Quarren of Dac lived under the constant threat of an attack by Imperial fleets. The Alliance maintained a strong presence in the star system, including enough capital ships to defend against a standard Imperial battle line or perhaps even a squadron, but the Alliance and the Mon Calamari didn't have enough firepower in the system to repel a full Imperial attack squadron. The main Alliance fleet was considered too precious to risk in such a dangerously exposed position. As early as 1 ABY Imperial Intelligence Operations sent operatives to the planet in preparation for Imperial strikes on the planet's floating cities. While the Alliance Fleet was fighting over Endor, massive imperial fleets moved to siege Mon Calamari Space. The Death Star would destroy Dac once completed, but Emperor Palpatine died before the Empire could put its plans into action. Imperial commanders turned into independent warlords after the Battle of Endor and fortunatelly Moff Kaine withdraw to another side of the Galaxy instead of attacking Dac. By the time of the Battle of Endor, Mon Calamari Star Cruisers were extensively used by the Alliance, playing a major role in the hands of Mon Calamari Admiral Gial Ackbar, who put them to good use in that decisive battle. Mon Calamari was a founding member of both the Alliance of Free Planets and the New Republic. Ackbar represented the planet on the New Republic Provisional Council. The New Republic defeated further Imperial invasions thrice at Mon Calamari: the first time against the Whaladon hunting submarines of Emperor Trioculus's Imperial faction; the second against the World Devastators of the clone Emperor's Dark Empire; and the third against the Star Destroyers of Admiral Daala's Maw fleet. These three battles caused many cities to be destroyed and members of all the indigenous sentient species suffered loss of life. During the battle against Daala, Leia Organa Solo discovered that the Mon Calamari Ambassador Cilghal, Ackbar's niece, was Force-sensitive. Cilghal was the first Mon Calamari to join the New Jedi Order. The planet was later represented in the New Republic Senate by Q-Varx, who was revealed as a traitor and replaced by Cilghal. During the Yuuzhan Vong War, the planet was represented by both the Quarren Pwoe and the Mon Calamari Gron Marrab. After the fall of Coruscant to the Yuuzhan Vong in 27 ABY, the remaining senators and politicians of the new Republic government fled to Mon Calamari, which had not been taken by the Yuuzhan Vong. The world's massive shipyards, large defensive fleet, and isolation from the front lines made it a desirable location. 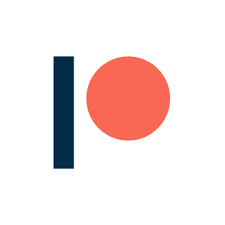 Pwoe tried and failed to usurp the New Republic presidency and eventually joined the Ylesian Republic on Ylesia. Marrab, however, remained loyal, and represented his homeworld in the Senate. Following the election of Cal Omas as the new Chief of State, the New Republic was reorganized into the Galactic Federation of Free Alliances, or Galactic Alliance in 28 ABY. The Alliance was formed on Mon Calamari, which served as its original capital until the end of the Yuuzhan Vong War. After the Sith�Imperial War, the planet was once again under Imperial control. Under the rule of usurper Emperor and Dark Lord of the Sith Darth Krayt, the Quarren were placed in charge of the planet, as the new Sith Order held a number of Quarren amongst its members, most notably Darth Azard and the late Darth Maleval. In an attempt to destroy Gar Stazi and the Galactic Alliance Remnant, who the Calamari supported in secret, Admiral Dru Valan laid a trap at Mon Calamari by leaking information about the Imperious, a new type of Star Destroyer that was under construction at the Mon Calamari Shipyards. The resulting battle resulted in the destruction of more than half of the Shipyards. Krayt was angered by the theft of the Imperious, and decided to take his anger out on the Mon Calamari people. He traveled to Dac, and during an address to the Mon Calamari Council, he ordered the immediate execution of one-tenth of their population. After initiating the massacre by having the members of the Council itself killed, Krayt commanded that the remainder of the Mon Calamari population be rounded up and incarcerated in work camps; those Mon Calamari who tried to escape this fate were to be pursued and killed. Krayt's ultimate goal in this matter was to render the Mon Calamari extinct and to "purge the galaxy of their culture and history" as a warning to anyone else who had notions of defying his empire. Following the initial death of Darth Krayt, Krayt's regent, Darth Wyyrlok, fully took control of the One Sith. No longer desiring to waste Imperial resources on the planet or in long and costly campaigns, Wyyrlok issued an edict calling for the immediate termination of the genocide. The ocean's water was then poisoned by Sith scientist Vul Isen in an attempt to wipe out all life on the planet. However, Admiral Gar Stazi refused to abandon the native Mon Calamari and other innocent inhabitants without an evacuation attempt. 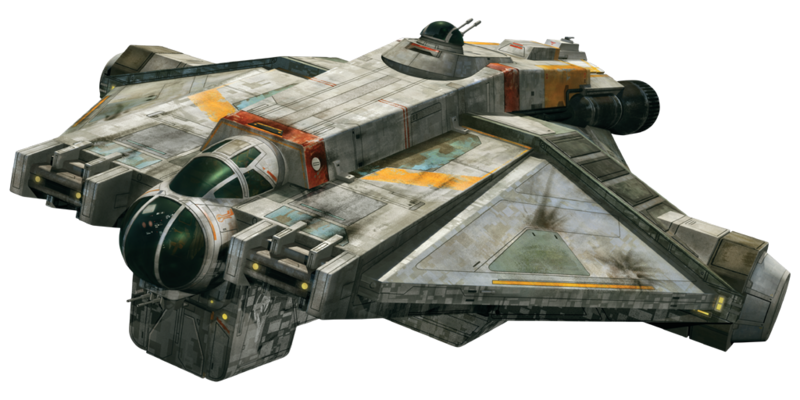 Stazi led the Galactic Alliance Core Fleet to Dac, reinforced by an elite squadron of Jedi to the dying planet. A taskforce under Jedi Master Drok succeeded in sabotaging the defenses of the Mon Calamari Shipyards, and Jedi Master Asaak Dan led a group of Mon Calamari Rangers in securing Heurkea Floating City to serve as the base of operations for the evacuation. Capturing additional ships in the Shipyards, the Alliance easily overwhelmed remaining Sith forces. With the planet under control, a massive fleet of private ships from all across the galaxy exited hyperspace, and began the rescue operation. With the Galactic Alliance fleet engaged in rescue operation, the Sith sprung their trap. The Outer Rim Third Fleet, under the command of Admiral Krion Grail and supervised by Moff Geist and Fist Darth Stryfe, emerged from hyperspace behind the Alliance fleet. Focusing on protecting the evacuation fleet, the Alliance fleet suffered heavy damage. As all seemed lost, however, a number of Star Destroyers belonging to Roan Fel's Empire-in-exile appeared, surrounding the Imperial fleet. Now trapped themselves, Stryfe and Geist ordered a retreat, leaving Dac safe for evacuation. Unfortunately, it was already too late for most of the planet's population. The combined Alliance, Imperial, and civilian fleet was only able to save around twenty percent of Dac's Mon Calamari, Quarren, Whaladons, and Moappa. While numbering in the billions, it was only a small percentage of the world's total population of 27 billion, and does not include the even greater amount of creatures and other unique life forever lost beneath the waves. Following the defeat of the One Sith, the Sith were driven underground again and a Galactic Federation Triumvirate, consisting of the Fel Empire, the Jedi Order, and the Galactic Alliance, assumed power in Coruscant. In 138 ABY, a large number of Quarren and Mon Calamari were lured back to Dac under the pretext that the planet was being "renewed". Instead, these unfortunate Quarren and Mon Calamari were enslaved by a pirate syndicate led by the rogue Sith Darth Luft, who forced them to build a fleet of ships in the remnants of the Mon Calamari Shipyards. Darth Luft and his pirates also kept their children and elderly relatives hostage. The Quarren and Mon Calamari ship builders were also beaten and mistreated by their pirate captors. One Quarren named Tikin befriend a Mon Calamari environmental engineer named Luen. These two encountered the Imperial Knight Jao Assam and the junk dealer Ania Solo, who learnt about their predicament and quickly transmitted word of the pirates and their slaving operation to the Triumvirate authorities in Coruscant. Later, Tikin was murdered by Darth Luft and his death triggered a slave uprising by the Quarren and Mon Calamari, who joined forces to rebel against the pirates. This uprising coincided with an attack by the Galactic Triumvirate led by Admiral Stazi and the Imperial Knight Yalta Val, who liberated the slaves and apprehended the pirates. Darth Luft himself was killed during a duel by Jao Assam. The Quarren and Mon Calamari then settled in the space station, which had been flooded with water by Admiral Stazi, to provide a comfortable atmosphere for the former slaves. As a gesture of reconciliation between the Quarren and Mon Calamari, Tikin's son Tilin was raised by Aunt Luen.